his lifetime Fitzgerald never had a best-selling novel and, toward the end of his life, he worked sporadically as a screenwriter at motion picture studios in Los Angeles. There he contributed to scripts for such popular films as Winter Carnival and Gone with the Wind. 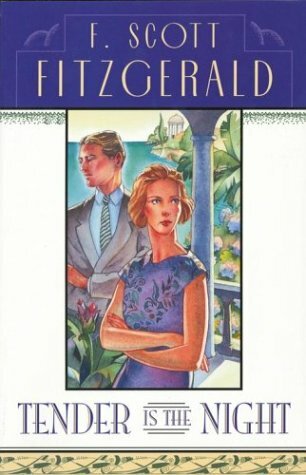 Fitzgerald's work is inseparable from the Roaring 20s. Berenice Bobs Her Hair and A Diamond As Big As The Ritz, are two short stories included in his collections, Tales of the Jazz Age and Flappers and Philosophers. His first novel The Beautiful and Damned was flawed but set up Fitzgerald's major themes of the fleeting nature of youthfulness and innocence, unattainable love, and middle-class aspiration for wealth and respectability, derived from his own courtship of Zelda. This Side of Paradise (1920) was Fitzgerald's first unqualified success. The Great Gatsby (1925) is considered by many to be the greatest American novel. Tender Is the Night, a mature look at the excesses of the exuberant 20s, was published in 1934. Much of Fitzgerald's work has been adapted for film, including Babylon Revisited, adapted as The Last Time I Saw Paris by Metro-Goldwyn-Mayer in 1954. The Last Tycoon, adapted by Paramount in 1976, was a work in progress when Fitzgerald died of a heart attack on December 21, 1940, in Hollywood, California. Fitzgerald is buried in St. Mary's Cemetery in Rockville, Maryland. Charles Scribner, Jr. was the son of Charles Scribner III and the longtime head of the Charles Scribner's Sons book publishing company. He succeeded his father in 1952 as chief of the family publishing house, which had been founded by his great-grandfather in 1846. Charles Scribner, Jr. oversaw its operations until 1984. He was Ernest Hemingway's personal editor and publisher in the last portion of Hemingway's career. He is the author of In the Company of Writers and In the Web of Ideas.